Organized in 2003 as an organization of organizations (an association), the Lehigh Valley Military Affairs Council is a 501(c)(3) nonprofit organization operating in the Lehigh Valley. We offer a forum and a focal point for veterans and civic organizations, businesses and governments to support our Lehigh Valley military-veteran community. We teach others to help in meaningful ways; advocate on issues of importance to our local military-veteran community; and organize or support programs centering on local military units when deployed, the families of service members, the transition of returning veterans, and the recovery of veterans requiring additional help. An all-volunteer organization, LVMAC meets on the third Wednesday of the month from noon-1:30 p.m. at Saucon Valley Manor, Hellertown. Anyone interested in helping is welcome to attend – no military affiliation is required. Lunch is provided to attendees at no cost. LVMAC has no membership dues. The only membership requirement is that its member organizations and associate members support and work toward LVMAC’s goals. For more information on membership, click here. Click What We Do for details on some of our programs and projects and our LVMAC Brochure. Note: We are a volunteer organization and do not operate 24/7. We typically check phone calls on Wednesdays. To improve the lives of our local military service members, veterans and their families by fostering and coordinating support from businesses, organizations, institutions and communities; and by promoting awareness of the military’s role in defending America through educational programs and public events. The Lehigh Valley Military Affairs Council values all partnerships with local organizations, institutions and businesses and with individuals who graciously contribute their time and resources. 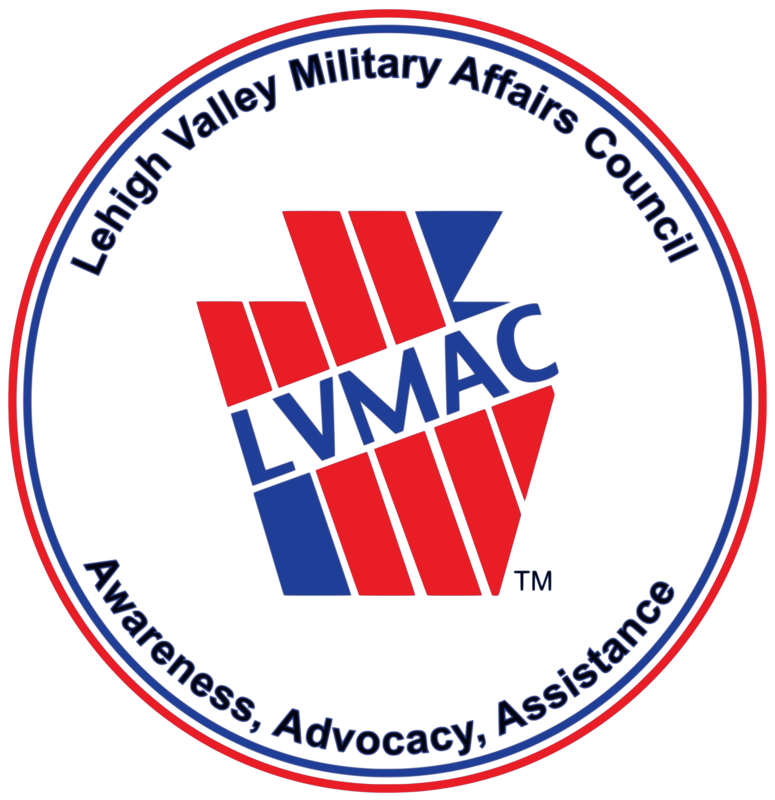 Lehigh Valley Military Affairs Council is a non-profit, tax-exempt organization as provided by IRS regulations. A copy of official registration and financial information may be obtained from the Pennsylvania Department of State by calling toll free, within Pennsylvania, 1-800-732-0999. Registration does not imply endorsement.